Have you ever played Settlers of Catan? It’s my favorite board game because it’s a game of tactic, skill and luck. Just like a job search. When you start a game of Catan, you have to thoughtfully select your first two settlement placements. Where you place your initial settlements and roads is important because it can determine your success in the game. I’d like to stress that your initial planning and research is equally important to your success in a highly effective job search. 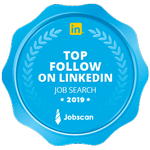 One critical mistake that I see many job seekers make is that they don’t have a target list of employers and they are just focused on job postings they see online. - Will this help me reach my 5 year plan? - Who specifically hires people in these roles (the question is NOT who is *currently* hiring) - Do I have any connections to the companies that hire these roles? - Who are the hiring managers for my target positions? What are some other suggestions for people doing initial job search planning?